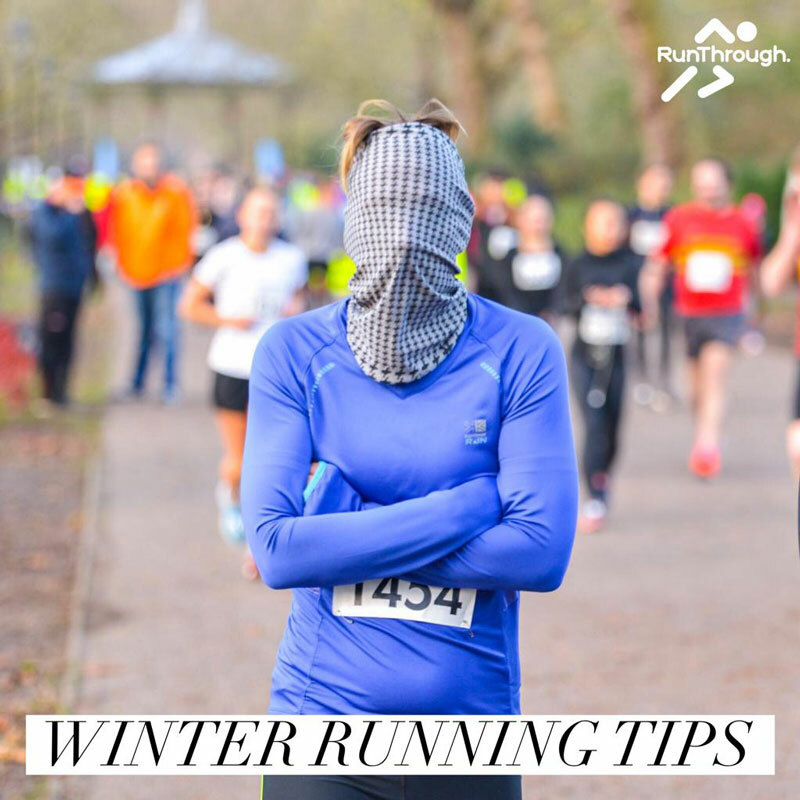 The days are shorter, and most certainly a lot colder so there is no surprise that for many of you putting on your running gear and lacing up your trainers is the last thing on your mind. 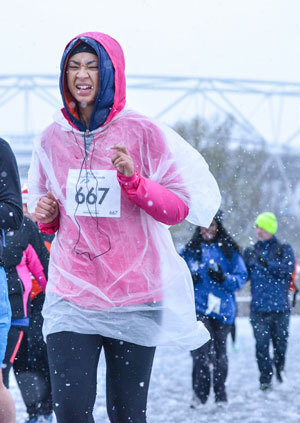 But with spring marathons creeping up on us and the winter blues looming there are plenty of things we can do to keep motivated and continue running through the winter months! 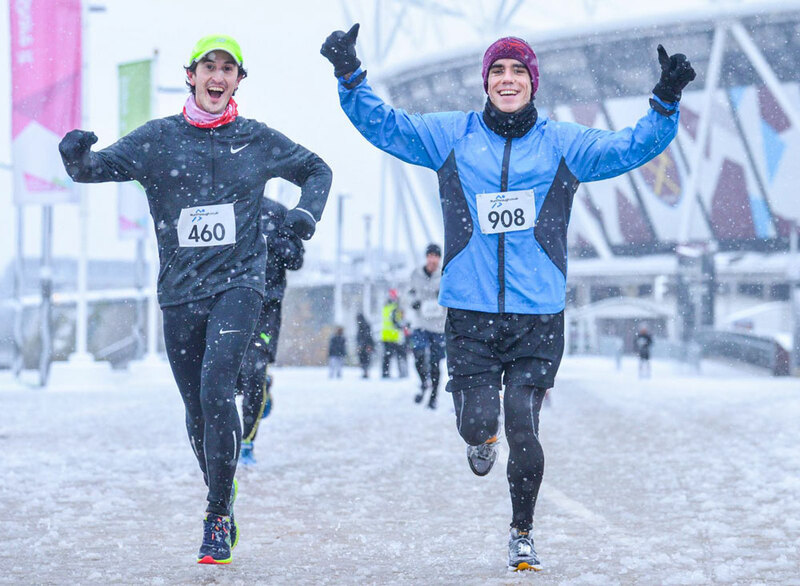 If you need extra motivation to go running during the winter, why not ask a friend to join you and make your runs a regular social activity. You’ll be surprised who says yes when you suggest grabbing a coffee and cake, or even brunch at the end of the run! There is nothing worse than running with cold wet feet and you can feel the squelch with every step! Keep the warmth in and wet out, find yourself a pair of shoes that have the least amount of mesh. There are also plenty of shoes with claims to be waterproof so have a search around and make sure to look after your feet. We are all guilty of wanting to get it over and one with and skipping both your warm up and cool down but these become even more important over the winter months. It doesn’t need to be a full blown warm up session perhaps just ease into your run to warm yourself up. Start slowly with a very gentle pace or even walk the first kilometre to warm up your muscles before increasing your pace to a steady run. It is important not to stop after your warm-up to stretch as this will cool your muscles down again! There’s no reason you should be more likely to get injured in the winter, just be sure to warm up and cool down properly and there will be nothing stopping you from getting the miles in. This might sound odd, but it really is simple. When we run our bodies warm up and we sweat to try and cool ourselves down so in the colder months you need to remain warm but without so much sweating that it can give you a chill. According to Mark Grandonico, “The rule of thumb is to dress as if it is 20 degrees warmer”. You should be slightly cool when you start your run so consider wearing lightweight layers of breathable clothing and remember that any zips and air vents on your clothing can help you regulate your body temperature to stay comfortable during your run. In the winter month we are lacking in daylight hours which can make it very hard to fit your runs in while it is still light outside meaning many of us are running in the dark. Therefore, it is without a doubt essential that you make yourself as visible as possible to other people and motorists. That means putting away the dark leggings and jackets and bringing out the florescent, reflective and bright coloured running gear – after all we could all do with brining some brightness in to our winter running. It is also advised to try and avoid any poorly lit areas and stick to the routes with goof lighting. You are not going to enjoy a run when you don’t feel completely safe! When the weather takes a turn for the worse and you are reluctant to run or it has become unsafe to take to the roads, take the opportunity to do some cross training. Head to your local gym for some strength work, find an online tutorial for an at home workout or even head out for a swim – you might not be able to run outdoors but there are so many options to keep you going. Of course if you want some more advise or just fancy a chat about running head onto our RunThrough UK Chat Facebook group where you will find thousands more likeminded runners!